Bevell&apos;s Hardware Train Display and more! 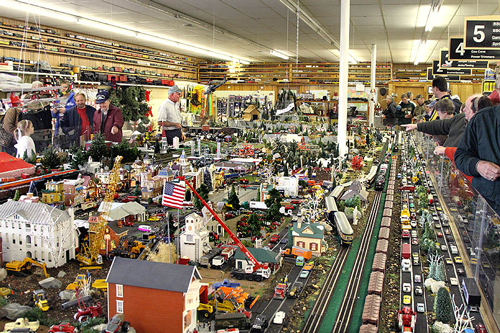 Bevell&apos;s Hardware is home to the famous Christmas Holiday Train Display. Thousands of folks come from near and far to see this spectacular sight each holiday season. Beginning over 30 years ago as a small train display on a 4&apos; X 8&apos; sheet of plywood with 2 trains and a very little scenery, has now grown into a 18&apos; X 56&apos; train display. 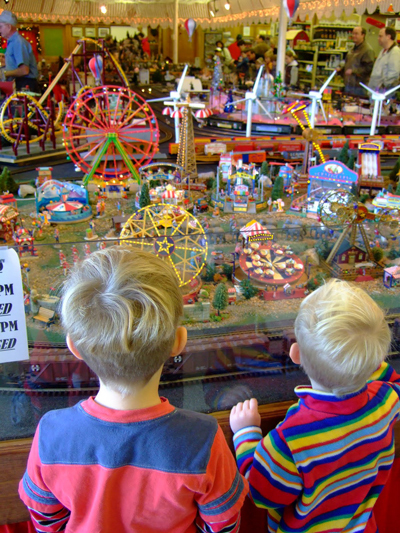 Featuring more than 10 trains, with realistic mountains, bridges, animation, large circus and amusement park, lighted houses and beautiful snow village, burning house and town, accident scene, farm scene, replicas of local businesses both past and present and much, much more. 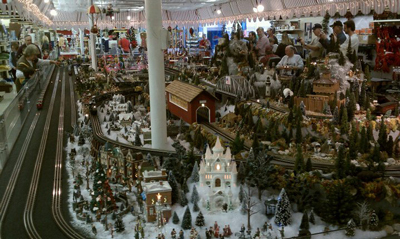 This amazing display was featured in the magazine Classic Toy Trains (December 2010 issue). A five page article with pictures of some of the trains and scenes brought even more people to this small rural Blackstone, VA town. Nottoway County schools and surrounding county schools have been bringing the primary classes as one of their field trip each year to see this display. These children not only get to see this display but they visit with Santa, take a ride on a train (which includes an engine, flat bed car and caboose) in Seay Park and snack on cookies and punch. It takes a crew of people to construct this display each year. Bobby Daniels is the mastermind behind this extravaganza. His son Robbie constructs the table with the assistance of others. His wife Lynn, with the help of other folks, uses her talents to construct the many scenes throughout the display. Employees and friends fill in when necessary to lend their hands where ever needed. Normally, this feat take approximately 2 months to complete with a rush at the end to have everything in place and operational by the Friday after Thanksgiving. However, due to a major family illness, the train display will not be operational during the 2018 holiday season. Even so, we hope that you'll still visit the store for your home needs. Keep in mind that the store is closed on Thanksgiving Day, Christmas Day and New Years Day.